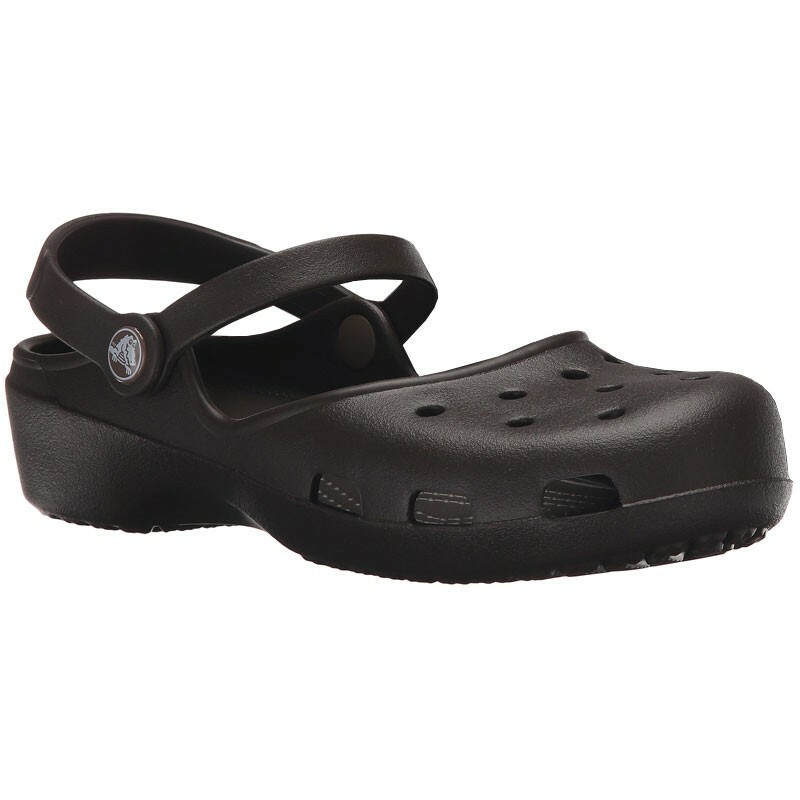 Get the Crocs lightweight comfort you love in a cute and classic looking mary-jane style with the Crocs Karin. Made of the same cushioned material with massaging nubs on the footbed to stimulate foot circulation as the Classic Crocs clog, the Karin adds a snug slingback fit and a cute mary jane strap for more feminine style. This comfortable flat also features ventilation holes, odor-resistant materials, it is easy to clean, water friendly, buoyant, and quick to dry...the Crocs Karin has it all!